Tyler – Students and staff at five Tyler ISD elementary campuses recently collected more than 6,000 books for Bill’s Bookshelf, a project of the Literacy Council of Tyler. Bill’s Bookshelf provides new and gently used children’s books free to families in the community. Bookshelves are placed at sites where low-income families have easy access to them, and children are invited to choose a book to keep. Participating Tyler ISD campuses included Caldwell Elementary Arts Academy, Douglas Elementary School, Dr. Bryan C. Jack Elementary School, Owens Elementary School, and Andy Woods Elementary School. Students from Andy Woods Elementary show off their hard work. The Literacy Council distributes approximately 2,000 books per month. Therefore, the 6,000 book collection will help stock the bookshelves for three months. “Our students, parents and staff members were excited about the opportunity to give back to the community, and provide books for children that may not have any, by participating in the book drive benefiting Bill’s Bookshelf,” Michelle Overmeyer, receptionist at Woods Elementary School, said. 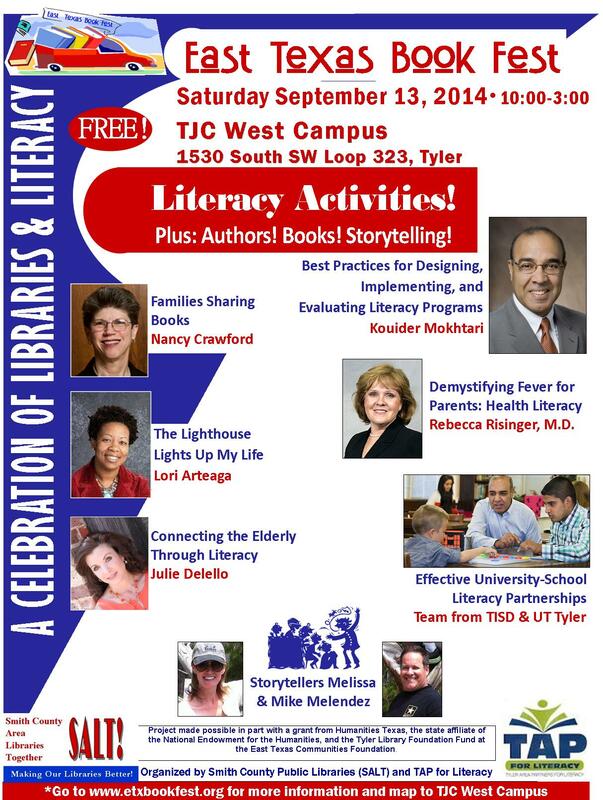 Two Literacy Council interns from The University of Texas at Tyler, Marysol Romero and Ashley Watts, initiated the drive by reaching out to the elementary campuses. Brookshire’s, Chick-Fil-A, Raising Cane’s and Super 1 Foods provided prizes to the classes who collected the most books on each campus. Maria Betancourt is the oldest of seven children. This resulted in growing up in a very busy environment. She recalls that every morning she had to get herself up and get off to school on her own. She learned to speak English at an early age, but her family frequently moved back and forth between Florida and Tyler, which made it hard to keep up in school. With no one pushing her to go, she stopped going in the 10th grade. 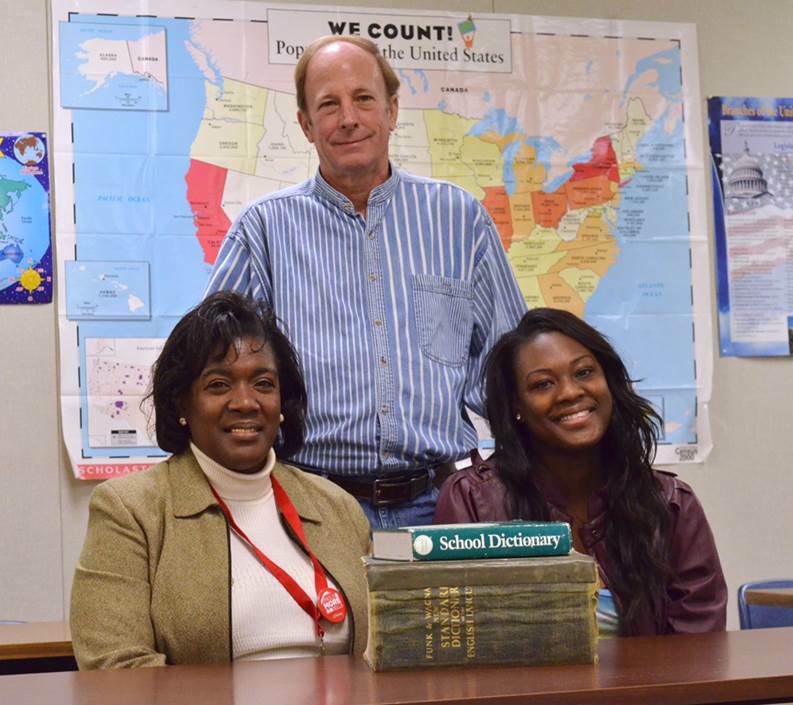 Two years later, she thought “I want to try and get my GED and go to college.” So, she came to Literacy Council of Tyler. She attended for two months, but said she just was not motivated. Again, she stopped going and gave up on her high school credential. She came back to LCOT in April of 2013. There, she met Miss Ashly. Coincidentally, it was her and her teacher’s first night of class. They immediately created a bond of respect. “Miss Ashly gets me,” Maria explained. “I get it when she teaches.” Her instructor talks about how hard Maria worked and how great a student she was. Maria had found the support she did not know she needed. She finished her GED in about six months and decided she wanted to keep moving further. She is now enrolled in the 2014 college prep class that will begin in May, and is excited about starting college in the fall studying to be a nurse. She already has her Certified Nurse Aide license and currently works in that field. Her goal is to help people and save lives. Her personal goal is to have her four year old and eleven year old daughters look up to her. “I want them to see that their mom has a career and want that for themselves,” she said. Maria has a lot of support at home these days. Her husband believes in her. Her parents are proud of what she has accomplished. As for Maria, she accepts responsibility for dropping out of high school. “It was my fault for not staying in school,” she states, but she has not let her past become her future. Maria is steadfast and determined to finish the college prep program, start college, and continue on her path to becoming a nurse. In so doing, she is a great example of persistence for her daughters. Join us for Book Fest! A single mom of two, Barbara Merritt, always put her kids’ needs first. Focusing on her education was never a priority, especially since she never had any trouble finding work. That was until the recession hit. She quickly found out that employers wanted people with at least a high school diploma or a GED. Barbara admits she wasn’t ready or even motivated to go back to school, but knew she had to make a change. She said with God leading her steps, she decided to tackle getting her GED. When Barbara tested at Literacy Council of Tyler, her reading scores placed her in the Accelerated course. She worked hard. Although it was tough, she finished in six weeks. But like most of LCOT students, Barbara had a tough time with math. She had passed all of her subject areas on the GED but was one test away from finishing because of math. Math is not one of those subjects that with a little practice you pick up where you left off in high school. Barbara did not give up. She studied at home, came to tutoring and, in December of 2013, she passed her math, earning her GED. While working on her GED, she also heard about the Dual Enrollment Program and applied for it. Through a grant Literacy Council of Tyler receives from one of its community partners, The Women’s Fund, Barbara was able to attend the 4-week nurse aide program and the interview training workshop. She never missed a day, and in one month she had her Certified Nurse Aide license. She was so excited and was able to find a job within days of completing the course. She expressed how grateful and blessed she is now to have her GED and CNA license. “I had wonderful and supportive instructors, and I am really inspired and motivated to strive for a better life for myself and my family.” Barbara is enjoying life and said she is in a comfortable place right now. She loves her job and what she is doing and is staying busy. “Life is good” she said. She doesn’t have plans to go back to school in the immediate future, but says, “There is peace in knowing that when I am ready, I know I can”. Lenore and April King with their GED instructor, Rich Roper. Research has shown that when you educate a mother, you educate her child. In Lenore and April King’s case, steps to educate the child led to the education of the mother. Lenore King had been out of the work force for 10 years. An injury in 2003 forced her to stop working. She had an eighth grade education and decided living off of her disability would have to be her life, but she wanted more for her daughter, April. So when April dropped out of school her junior year, Lenore decided to enroll her in a GED prep course. When Lenore went to Literacy Council of Tyler’s office, her intention was to sign her daughter up in a GED class. When she left that office, not only had she enrolled her daughter, she also enrolled herself! After listening to the LCOT staff describe the program in which her daughter would be engaging, Lenore got excited not only for her daughter but also for herself. She realized that she could do more than live off of disability, and it all would start by getting her GED. “That’s it. This is my future,” she told Rebecca Hoeffner from the Tyler Paper who interviewed her and April for a story published in the local paper. Both mother and daughter team worked hard, soaking up all they could from the intensive six-week course in which they enrolled. April having more recent education history had a little easier time than her mother, but they stuck it out together having perfect attendance. April even enrolled in the dual enrollment program administered by LCOT in which she not only attended the intensive GED prep program but also attended a four-week basic nurse aide training course. Lenore was also interested but was unable to enroll because of a car wreck that landed her in crutches. But that did not stop them. They both made it to class every day, not wanting to miss a single bit of information. Today, both women are graduates of the intensive GED program and are proud holders of GED certificates. Lenore commented after learning she earned her GED, “If you want something bad enough, you have to try.” As for April, having your mom attend class with you would not be a “cool” thing for most younger students, but for April, having her mom, her support, sitting right next to her was a blessing. Now, they are ready to enter the workforce, and April is ready to continue her education in college. Lenore, perhaps, may get inspired again and set her sights on college as well. Maria Carmen Avila moved to the United States when she was 18 years old to live with her father. She soon grew homesick and moved back to Mexico. She returned to the United States when she was 22 with her two sisters, determined to stay. 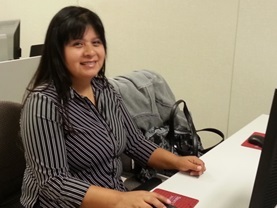 Carmen came with the sole purpose to work and help take care of her family. 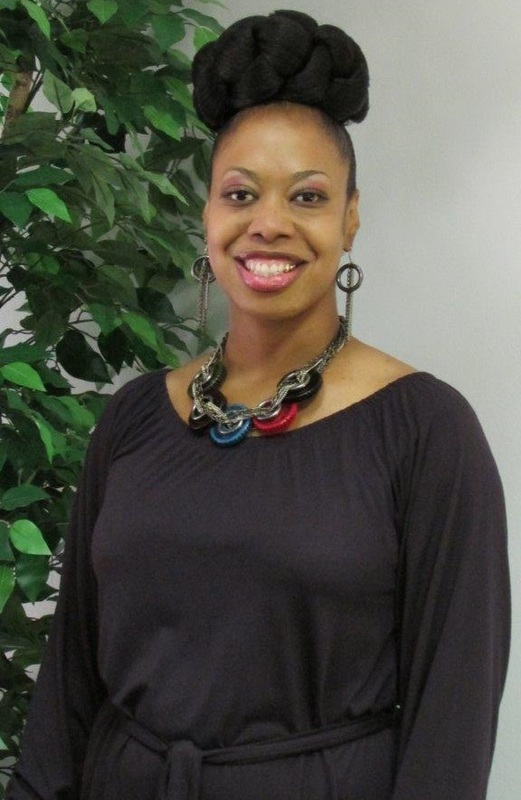 She had a 10th grade education, and going back to school was not even a remote goal for her. She quickly started working 16 hours a day at two different jobs making minimum wage. The only time she was not working was when she started a family with her husband, and even then, she worked right up to the day before giving birth to her son. They expanded their family to four children, and each time Carmen went back to work. One day, a friend of her husband was talking about free classes to learn English offered at Literacy Council. Carmen thought, “Why not?” She needed to improve her English. Her job options were limited to housekeeping and restaurant kitchen work because her speaking skills were not good enough to communicate with customers. So she took the first step. Carmen is learning everyday how much she can do and that she is not too old to learn. She continues to attend her ESL class, but now has a new desire for more education. With continued ESL training and improved speaking skills, she is considering taking a new step to pursue her GED. Her dream job now is to be a nurse. Education is power! At the age of 16, Maria Smith found herself in a new country, in a new school, and in a new environment where no one spoke her language. As the only ESL student in her high school, options for her to communicate with her peers and her teachers were non-existent. She found herself to be “the ESL program”. Feeling frustrated and depressed, she dropped out in the 10th grade and started working. Maria came to Winona, Texas by way of her parents in 1999 to live with her older brothers who had moved to the states years before. They requested she and her parents move so they would be closer and better able to help take care of them as they got older. This took Maria away from all that she had ever known, but gave her the hope of furthering her education in the United States and eventually fulfilling her childhood dream of becoming a nurse. She recalls admiring her aunt who did missionary work as a nurse, and wanting to be just like her. Her dream quickly faded to the background when she realized the language barrier would be a hard obstacle to overcome. So when she dropped out of school, she went to work to help support her family. She later met her husband who began to teach her English, and after having her own children and stressing the importance of education to them, she decided to go back to school herself. “I didn’t want my kids to think it was okay to drop out” she stated. Maria searched the internet and found LCOT’s website and called. “I was so excited,” she said. She was finally going back to school. She started GED classes in August of 2012 and was accepted into the dual enrollment program in September where she earned her basic nurse aide license by November of that same year. 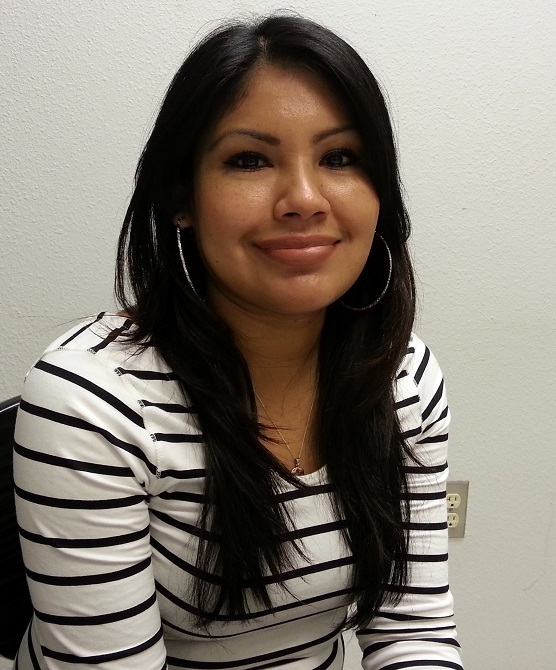 Maria was so eager to learn, and by February 2013, she had also earned her GED. In a conversation with LCOT’s executive director, Maria said, “I’ve accomplished in six months what I couldn’t accomplish in six years.” But she didn’t stop there. Maria enrolled in the Intensive College Preparation class and spent eight weeks of summer preparing to enter college. 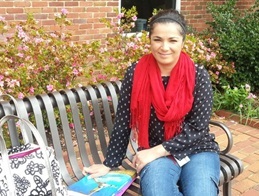 Today, Maria is a proud Tyler Junior College freshman studying to become a nurse. She talks about her kids and her future with an enormous smile, “My children say they are going to have me as their nurse when they become doctors!”she exclaims. “I am so grateful.” For Maria, she plans to complete nursing school and someday do missionary work just like her aunt.